At the end of mankind's greatest battle, empires will crumble, alliances will form, enemies will rise and heroes will fall. World's will end, and a new journey will begin. As our world expands to include the entire galaxy everyone rushes to claim their own piece of this new world and thousands of colonies arise. With no core government, rogue colonies begin to wreak havoc and without a centralized army to protect the innocent peace is all but lost. Now at the end of mankind's greatest battle, empires will crumble, alliances will form, enemies will rise, and heroes will fall. Regions are unavailable for this movie. 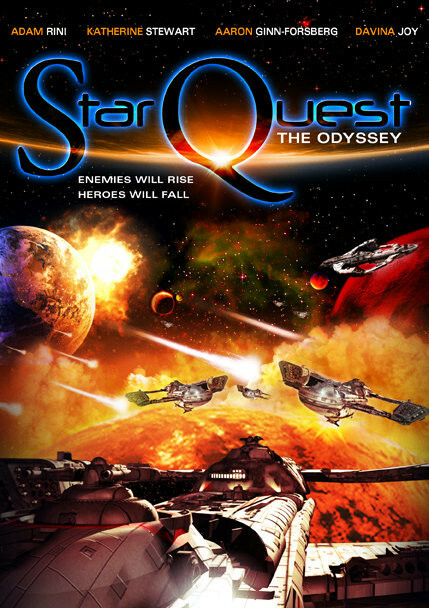 Click the "Watch on Netflix" button to find out if Star Quest: The Odyssey is playing in your country.